Dr Fauzi Mohd Som has been appointed by the Malaysian Rubber Board (MRB) as CEO of the Tun Abdul Razak Research Centre (TARRC), the UK-based research and promotion centre of the MRB, with effect from 3rd November 2017. The appointment has been made following the retirement of Dato' Dr Kamarudin Ab Malek. 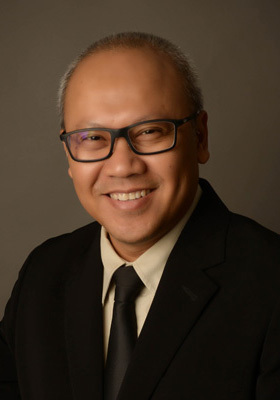 Dr Fauzi, 49, obtained his Bachelor of Science (Hons) in Chemistry from Bucknell University, Lewisburg, Pennsylvania, USA. In 1999 he received a PhD in Physical Chemistry from the University of Dundee, Scotland. Dr Fauzi held several posts throughout his career at the Malaysian Rubber Board. He was for several years the Head of Malaysian Delegates negotiating with the ASEAN Member States on Technical Barrier to Trade. He was also acting CEO of RRIM-Consult Corporation for 14 months from 2013-14. He was then Manager for Research Asset Management for the R&D Centre of Excellence at the Malaysian Rubber Board until 2015. Dr Fauzi was then promoted to the Director of R&D Centre of Excellence Division from 2015 until his appointment at TARRC in November 2017 as the new CEO. He has 31 publications to his name and two patents as well as receiving several awards such as Excellence Service Award, Appreciation Service Award and Best Technical Paper Award. Dr Fauzi believes that TARRC, which was founded in 1938, has tremendously benefitted the Malaysian Rubber Industry especially with the establishment of the Rubber Technology Centre, Rubber Research Institute of Malaysia of the Malaysian Rubber Board. TARRC will continue collaborating with RRIM as well as other Malaysian institutes maximizing impact due to its location and linkages to the industry and academics in Western Countries. As an internationally recognized industrial and technological research and development organization (RTO), TARRC always has mutual benefit with others who require its services.